We build retaining walls, for residential and commercial, of all shapes and sizes. A retaining wall provides more than just safety and protection, it can transform your backyard into a stunning, well-designed courtyard. Dreamscape Landscaping is proud to offer a huge variety of retaining walls that can stability and appeal to any landscape design. We take pride in building retaining walls that are grounded with a solid foundation, using proper materials, backfill and drainage, and with the use state of the art materials and techniques. 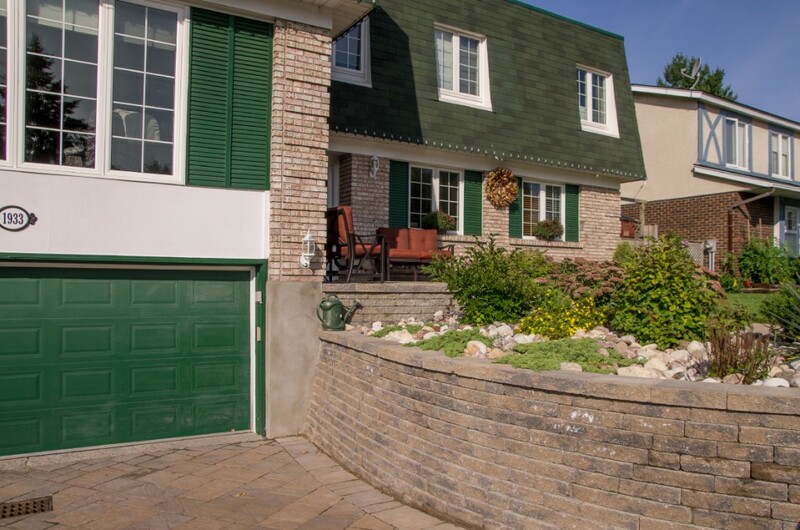 In order to recommend the right wall materials depending on the type of application, we focus on your budget and time schedule and we ensure a written guarantee on work and labour. We work with environmentally friendly materials ranging from wood to the most technologically advanced materials. For almost 20 years, we take pride in knowing that we’ve served many satisfied clients with retaining walls that stand the test of time. We are committed to the process of developing your landscape ideas in a professional and timely manner. Call us today at 613.821.0003 to schedule a free consultation and estimate!